Dorian is a 21-year young rapper from Luxembourg. He started his musical career at the age of only 12 years, mainly influenced by his older brother who showed him the classics of the Francophone rap scene of the 90’s such as NTM or IAM. Being instantly hooked by the variety of French rap music, Dorian quickly began to write his own lyrics. Louvar, another Luxemburg based rapper started his career at the age of eleven. The now 22-year-old has been thoroughly influenced and inspired by various French rappers and the Hip Hop culture in general. Dorian & Louvar collaborated for the first time in 2010 when they happened to record in the same studio. 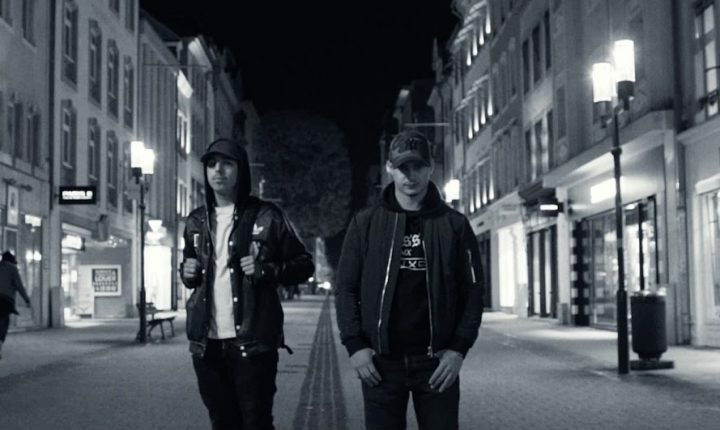 There was an instant connection between both of them which inevitably lead to them building the collective D & L.
In 2013, they released their first album titled “Rêve, Raison, Réalité” entirely produced by Jaysun. This was shortly followed by the release of the free digital EP “D & L” in 2014. In the meantime, both also released solo projects. Dorian released the“Noir & Gris” EP produced by Céhashi & dB and his first solo album “Horizons” while Louvar put out his first Mixtape “Zenith”. Currently the two young rappers are preparing the release of their sophomore album “Grande Vie”. While working on this new project, entirely produced by Cehashi, both artists try to challenge themselves to push their craft to a new level of professionalism. With this album, Dorian & Louvar set themselves concrete goals in order to use their energy as efficient as possible. “Grande Vie” is the story of two rappers trying to use their art to break out of a life that consists of a seemingly soul numbing daily routine. What to listen to first: “Horizons, Zénith”.